I take something of pride in sometimes indulging in great cultural luxuries long after their novelty has waned. With that knowledge, I’ll share my thoughts on finishing the complete five-season DVD set of celebrated HBO drama ‘the Wire‘ to encourage readers to watch it again, assuming you’ve seen the show at some point since it first aired in 2002. It’s not difficult at all to piggyback that suggestion onto the concept of the state of media and the future of news. David Simon, the creator and primary writer of the serial drama based on the inner-workings of drugs, policing and politicking in gritty post-industrial Baltimore, was himself, quite famously, a newspaper reporter for the Baltimore Sun, giving him a career of insight. Notably, each of the five seasons take on a different focus of the Baltimore city structure — from the drug trade, to unions to policing to, yes, reporting. So in the past few weeks after finishing the final season, I’ve delved into writing, stories, concepts and conversations. Even if you know the show well, it might be worth seeing what’s out there and, yes, connect it to media. The clearest take away is not a new one, but its connective tissue is. 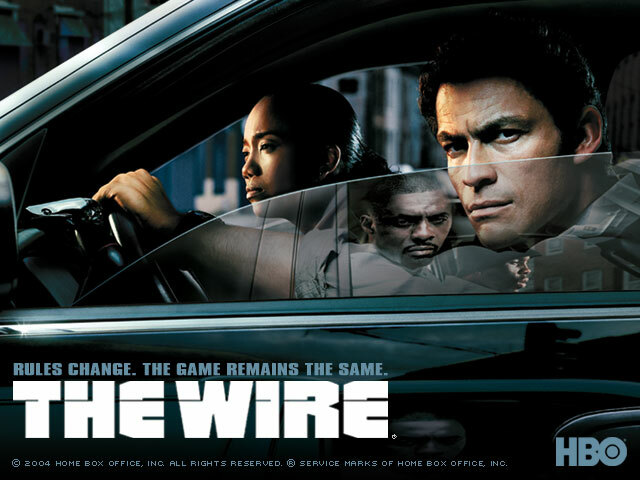 The Wire, like fiction for hundreds of years, went further to create interest, understanding complexities and raise concerns than any journalism ever has. ..Ever. But, the important part is that Simon’s writing was so good because it was seen as so authentic. In turn, the show was so authentic because Simon came from years reporting on what he soon wrote and his other contributors had backgrounds in police work or other knowledge bases. Journalism can be wonderful for truth but there’s a great chance no one will much see it until it’s on TV. That’s a compelling, important story — telling the tale of post-industrial historic U.S. cities — that might be important that everyone understand, as it correlates to policy, culture and socialization. What’s more, the show conveyed the cyclical nature of our problems. Drugs and education and unions and policing and reporting: we never truly fix problems — because they’re way more complicated than we want to admit. The mayoral candidate that appears in the last three seasons is a reform candidate. Like many of the politicians I have met in my short reporting career, he truly believes in change. Frankly, I believe the vast majority of legislators do want to positively impact their communities — I really do. But it’s complicated. There are so many competing interests and to stay in power, you have to compromise and make trades. It’s a cycle, like the drugs and education and the rest. Other characters grew their own celebrity, notably Felicia ‘Snoop’ Pearson, a hardened drug-trade soldier whose character was based loosely on her own persona. Below, she is part of a Larry King special. Why is it called The Wire?